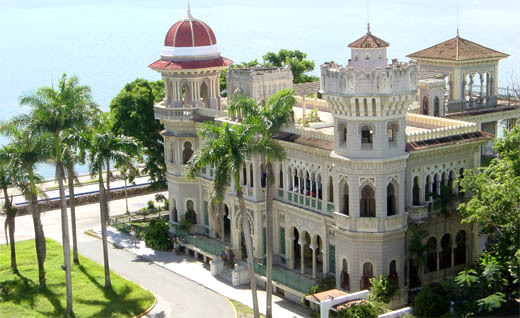 entrance to Bahia de Cienfuegos is Castillo de Jagua, a fortress erected 1740s for protection against Caribbean pirates. Bay it considered one of the best bays in the world, ideal conditions for regattas and sea fishing, diving and snorkeling. "Castillo de Jagua"surrounded by a beautiful rocky shore. It takes about one hour to cross the Jagua Bay on the ferry. Situated at the Punta Gorda overlooking the bay, 9 km from airport. Short walk from Cienfuegos historical center, hotel offer panoramic view on the Cienfuegos Bay, and large swimming pool right at the shore. a Victorian modern house and was built at the beginning of the past century, right at the shore. 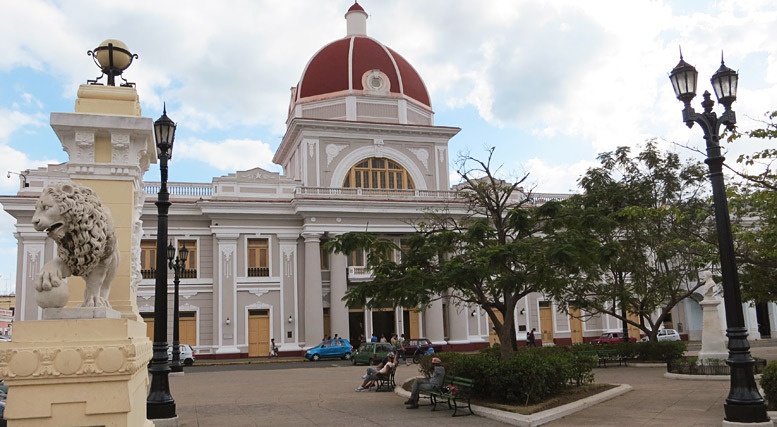 Situated in heart of Cienfuegos historical center, 7 km from airport. Union Boutique Hotel boasts a reborn classical motif mid-sized lodging. Hotel offer swimming pool, close to 'Benny More' disco night club and beautiful park Marti. Situated near historical center at the Pier, 8 km from airport. Palacio Azul Inn, built in 1921 decoration representative of the eclectic style. Hugo Chavez President of Venezuela stay here in room Dalia, during his official visit in Cienfuegos. This city has a very pleasant atmosphere, safe for tourist with remarkable friendly people. 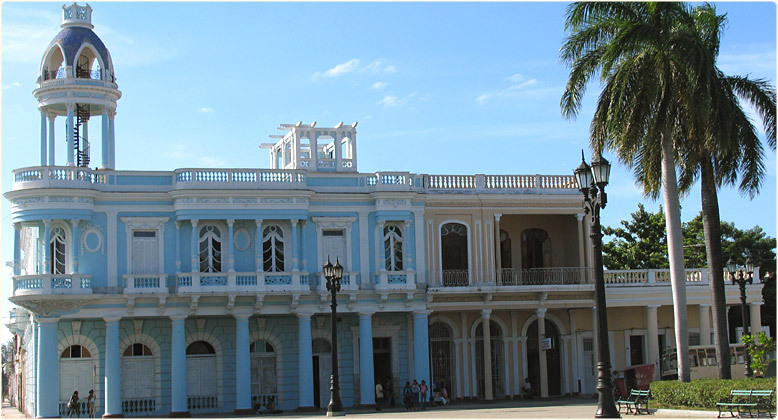 Attractive colonial architecture, a lot of palms, exotic old trees and churches gives Cienfuegos its historic beauty. 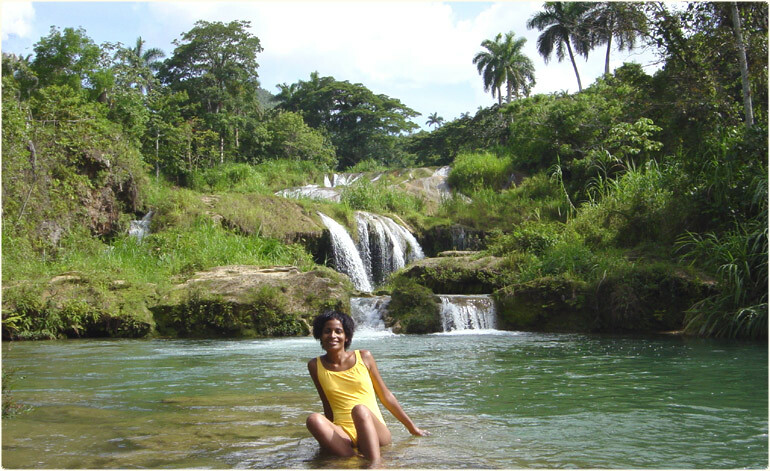 Tours from Cienfuegos, obtained at the any Hotels tourist bureau: Excursion to El Nicho falls, Trip to Botanical Garden. Sierra de Trinidad mountainous is the second highest point in Cuba The falls are surrounded by pure nature, pure relax. Former palace which at one time was a casino and is now a restaurant and gift shop. Situated in Punta Gorda on end of the city main avenue, toward end of the coast. The Ballet Place with its peculiar architecture diverse structural and ornamental styles, among them the Mohammedan Art. Palacio de Valle host of a stylish restaurant, you can listen to the piano enjoying your seafood. Live music every Saturday, at the roof is a small cafe bar with spectacular view of the bay. Benny More Disco dance at night at the most popular discotheque-night club, situated right the hotel Union near park. Located in Hotel Rancho Luna just 16 km from Cienfuegos, operated by Marlin. Seabed: Coral reefs, walls & sunken ships. Dive sites: Crown depth 15m, Arimao Ship depth 18m, Camaronero depth 12m, Coral depth 8m, Rio Club Ship depth 10m. Shallow corals and a good variety of marine life to explore, coupled excellent visibility, makes for excellent diving. You can stay in all-inclusive beachfront vacation resorts, Rancho Luna and Faro Luna, the hotels offer free: catamaran, water bicycle, kayak and snorkling equipment, horse back raiding. Scuba diving free lesson at the hotel pool. Hotel Rancho Luna All-inclusive hotel spot for a sun and sand vacation, 16 km from Cienfuegos. Hotel Faro Luna All-inclusive hote built in a small cove on southern coast, 17 km from Cienfuegos. 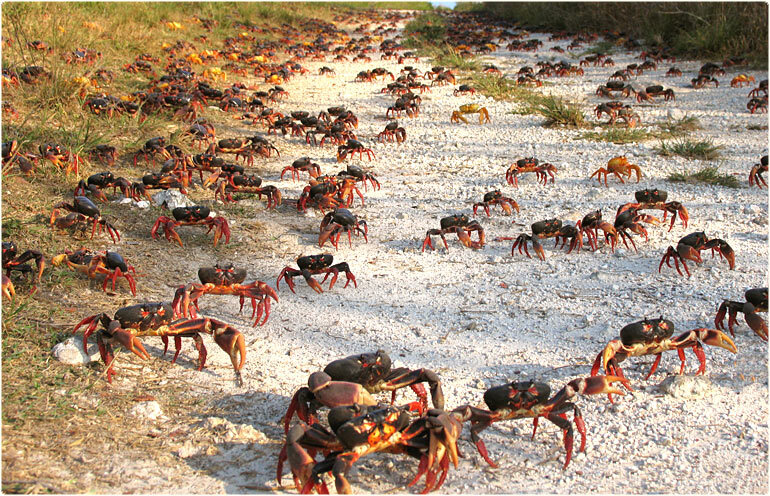 Villa Guajimico Located between Cienfuegos and Trinidad, an Eco Resort true divers paradise. Villa Yaguanabo Small comfortable cabanas protected by exuberant vegetation, 42 km from airport. 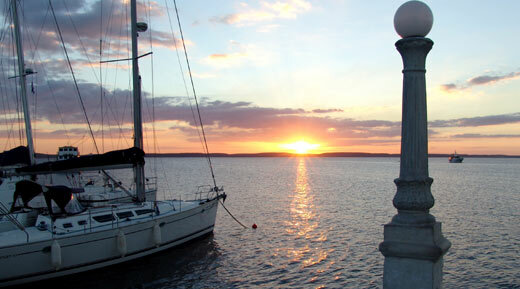 Hotel Pasacaballo Located at coast of Cienfuegos bay offers beautiful views, 22 km from Cienfuegos.